The lives of Indians are intertwined with diverse traditions and rituals, wedding being one of the most important rituals in one’s life.It is also often an occasion to showcase the social standard of the affluent families. From the point of the announcement of the wedding in the family, the pressure on the parents and families to organize a fantasy fairy tale wedding for their loved ones is enhanced. The hunting for the best service providers in market for Wedding decoration, dress, caterer, and invitation e.t.c. starts in full swing. A study in 2016 shows that today’s couples are ready to spend more on customized personalized wedding than the traditional rituals. The brides and grooms are more involved in the wedding process from the planning stage to create their dream wedding day. With these trends, the expectations on the Wedding planners and the service providers have built up manifold times. 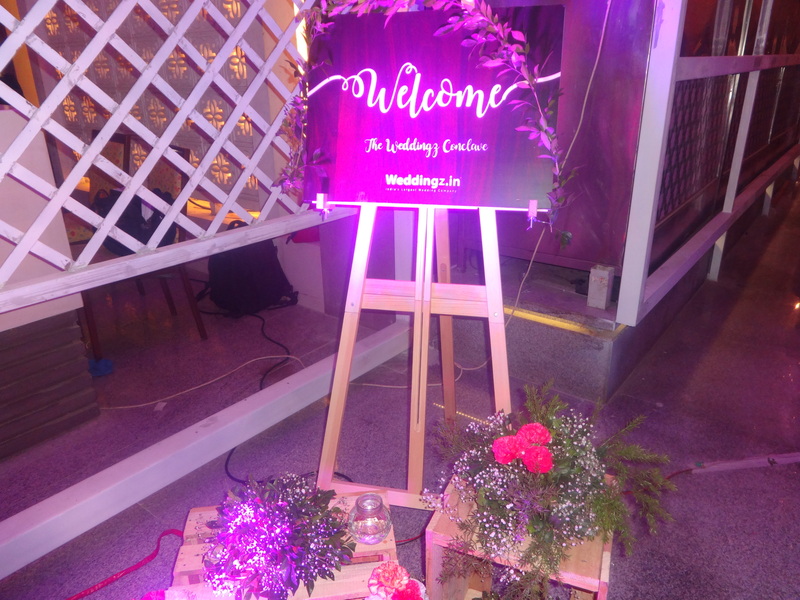 To analyze these latest trends in the Wedding industry Weddingz.in had collaborated with Flags Avant Garde for the venue and food to organize a gala event ,”Weddingz Conclave” on 8th February 2017 .I got an invitation and opportunity to attend this glamorous event which was a conglomeration of various leaders specialized in their own area in the Wedding Industry with an objective to establish networking among the various personnel who are part and parcel of this huge industry. 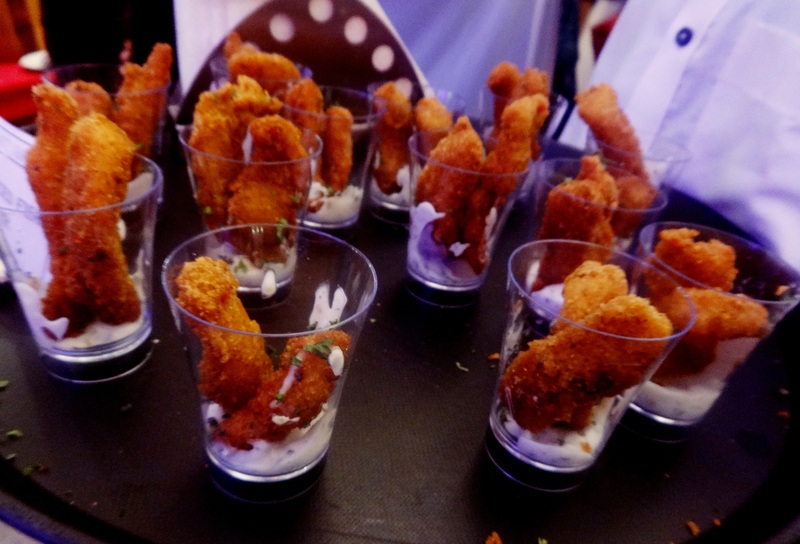 Fish fingers: These were crispy deep fried fish fillets cut into strips and then deep fried in egg rolled in bread crumbs. The fish was rawas, soft textured and crunchy outside and the presentation was indeed attractive..
Chicken tikkas: Melt into mouth succulent chicken pieces marinated in spices and perfectly grilled over charcoal. 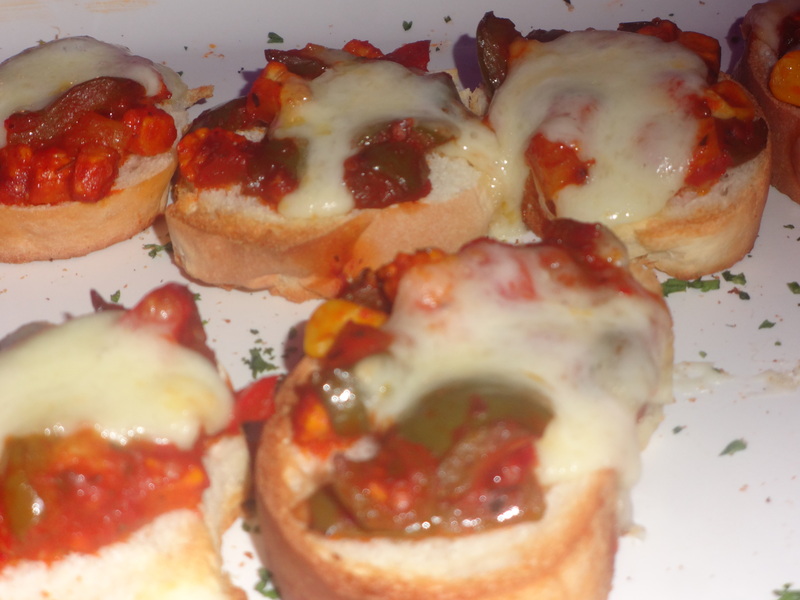 Bread pizzas: Freshly baked bread with a topping of veggies in salsa blended with molten mozzarella. 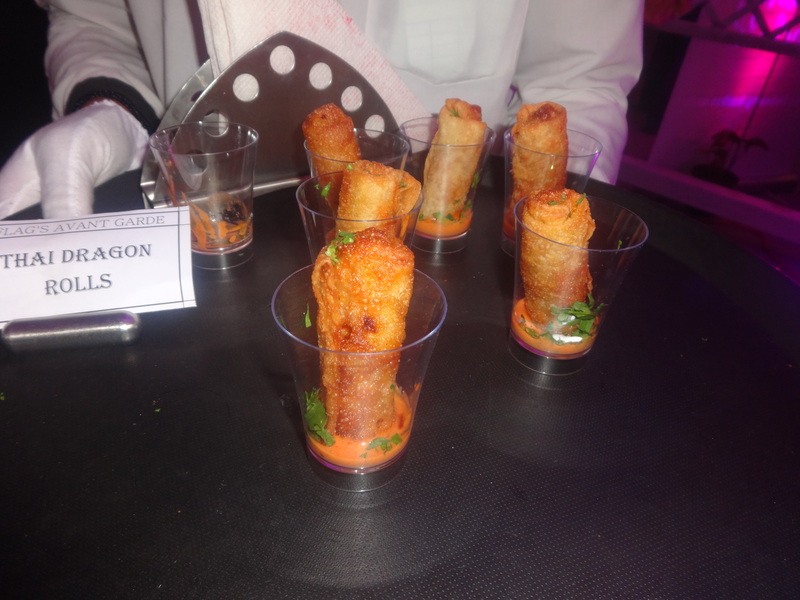 Thai Dragon rolls: These were miniature fiery spicy veggie filled wraps specially meant for the vegetarians .Perfectly crisp,saucy and wonderful. 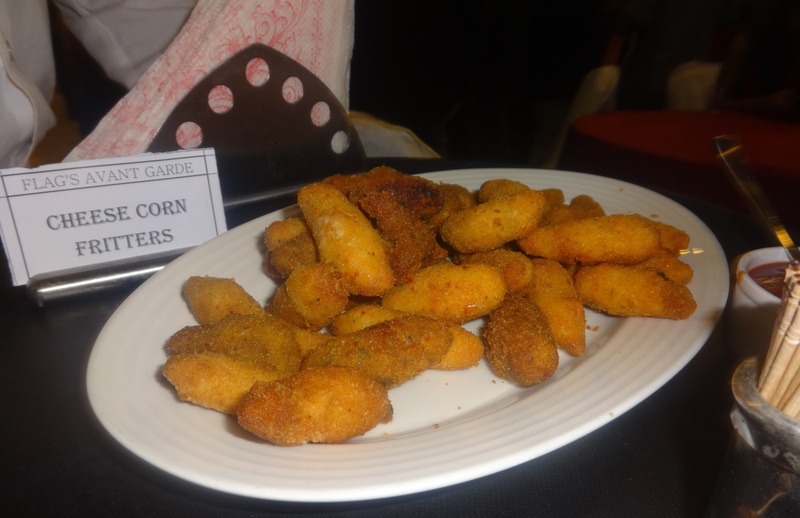 Corn and cheese balls: Another vegetarian’s delight, an all time hit, the filling was made with ground sweet corn and cheese. 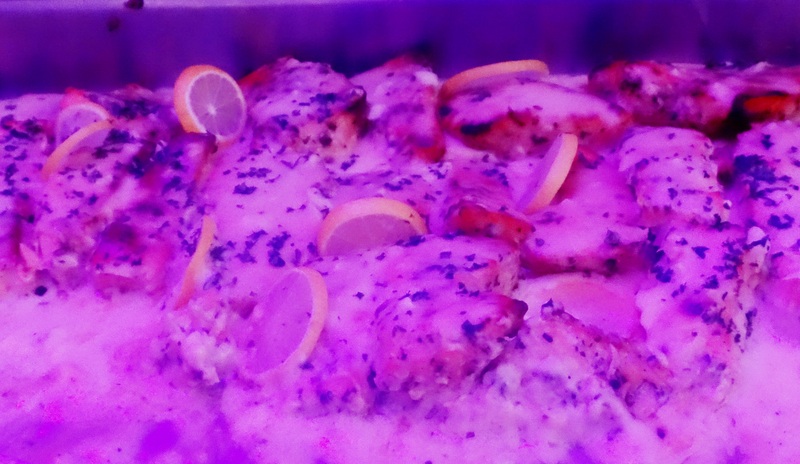 The main attraction of the dinner was grilled salmon lightly spiced with cream full of fresh flavors ,promoted by one of the collaborators for the event “Norweghian seafood council” and green thai curry which tasted out of this world. 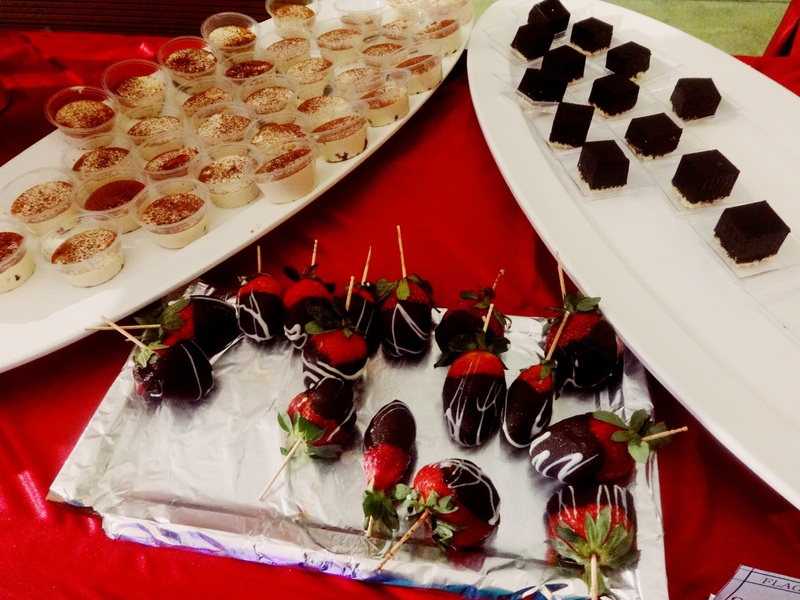 Apart form that there was a lavish spread of desserts which caught my attention starting from mud cake,tiramisu and chocolate wrapped strawberries every item was cooked and presented in perfection. 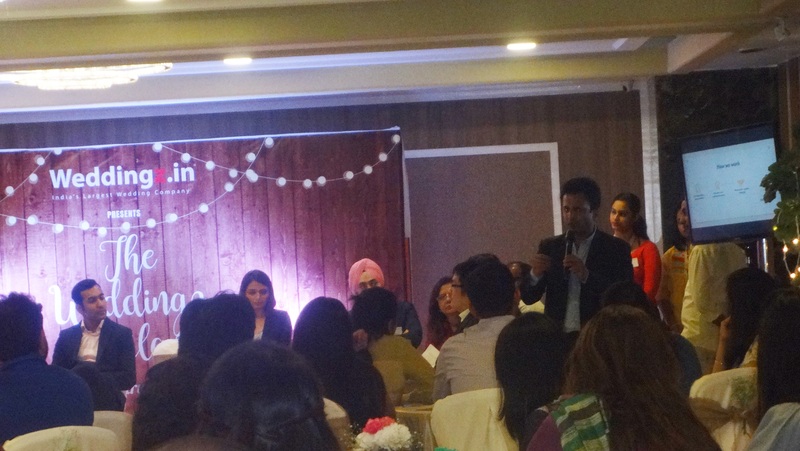 Intimate event: Ms. Aarti Mattoo, Founder & Chairperson, Momentum Group quoted “Small is big”.In the current era, family members are considering wedding as an intimate event. So instead of an inviting a huge group a destination wedding in any preferred destination in any part of the world is favored. Client’s expectations: The clients are demanding, with a lot of expectations. So the requirements of the clients need to be listened and decoded efficiently leading to a happy and successful event. Participation of the younger generation: Active participation by the bride, groom and the youngsters of the family is observed. Invitation card :Farida from Ikon Cards who have been providing exclusive customized and hand finished – Indian wedding cards and accessories says “For invitation customized messages, snapchats and e-cards are becoming popular”. Cross cultural Wedding: Many Weddings involve bride and groom from different communities or different cultural background leading to cross cultural weddings with an amalgamation of rituals from both the cultures. 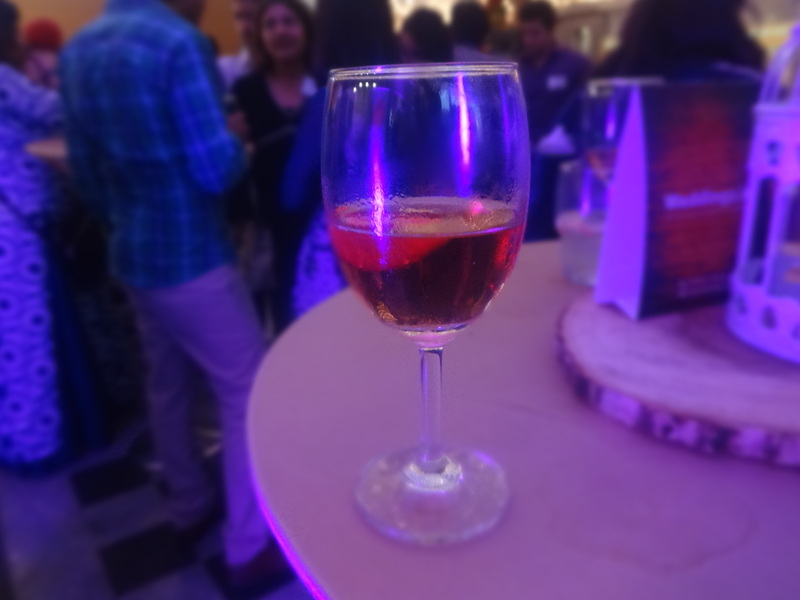 Interactive celebrations: Interactive celebrations like games, plays ,folk songs ,stand up comedies in the weddings are now preferred over performances from famous artists from the media industry. 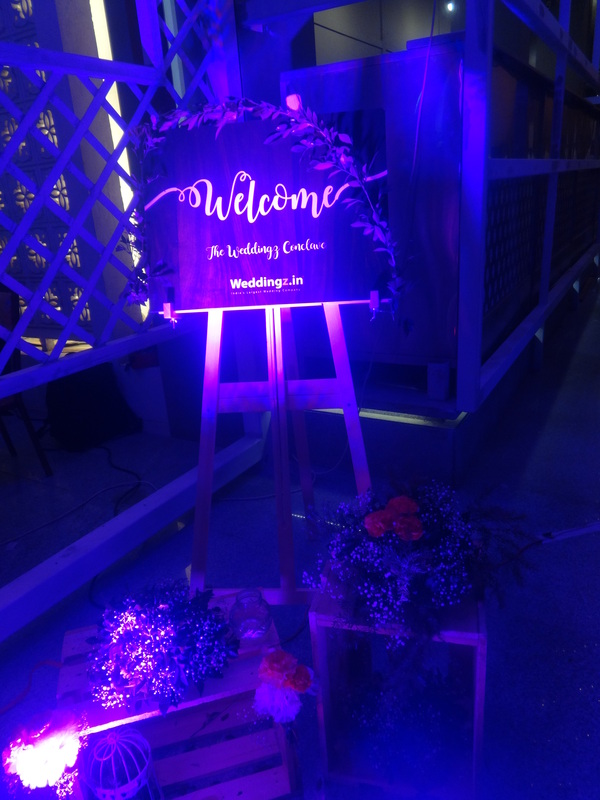 Eco-friendly Weddings: With the slogan “Save the earth” ,our younger generations are more aware and want to go green with energy-efficient appliances and biodegradable recyclable products. So whether going completely paperless with e-cards , mails and messages or getting married outdoors ,on farms ,beaches in presence of plenty of sunlight ,eco-friendly wedding are getting more popular day by day. Bridal wear: Designer Izzumi Mehta says that “Designer wear is obsolete and brides want to wear something which they are absolutely comfortable in “.Minimalism is the buzzword .With the influence of Western cultures off shoulder ,cold shoulder ,crop cholis, digital lehngas with metallic dazzle are in. Among the material velvet is the most popular for its texture. Shades of red have been the official color of Indian wedding for ages but now brides are looking for pastel shades, neutral pink e.t.c and green is the color of the season . Makeup: Ojas Rajani ..a professional makeup artist who has done the wedding makeup for Aishwarya Rai bachhan,Saif Ali khan,Madhuri Dixit said that “The brides are preferring minimalist makeup which is soft yet different”. Jewellery: Besides the traditional jewelry from gold and precious stones ,3D jewelry designs,artificial jewelry and jewelry embedded with semi-precious stones are in fashion. Photography: Anand Rathi from Reels and frames affirmed that “photography has reached to a new level with 360 degree photography ,photo booths with props and Ariel video shoots with drones“. Hash tagging : Creating a wedding hashtag(e.g #MrandMrsX) for guests to upload and share photos to Instagram and Twitter and other social media sites can help viewing the wedding ceremony in a different perspective. Décor:The exotic flowers are still popular for wedding decoration with candle theme decorations slowly capturing the market. 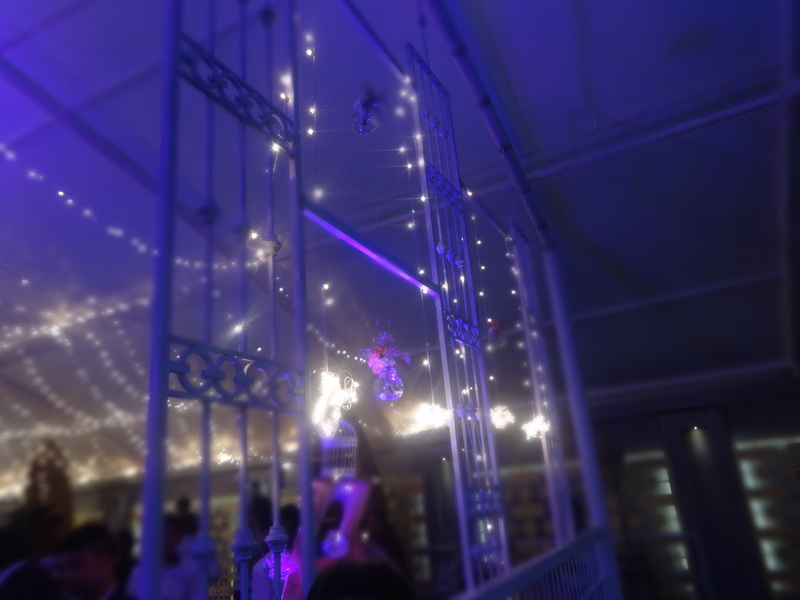 Spectacular fireworks display ,LED light ,LED ice cubes ,LED glasses and attractive floral or glow in the dark centerpieces are hot decor trends, which will add glow to the events. Ms. Poonam Bijlani from Bombay decorators stated that “The bride and groom do not want to stand in the stage waiting to meet the guests ,instead like in Western countries they want to go around thanking them”. 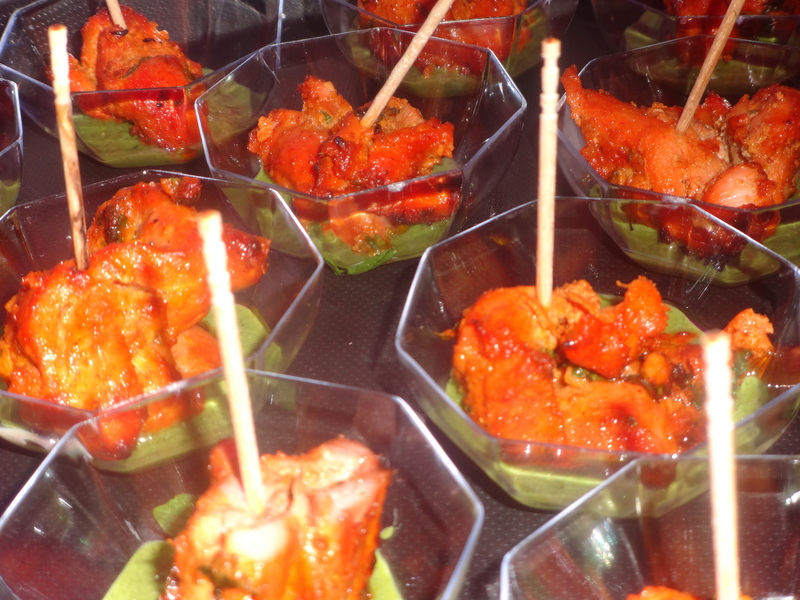 Food: Last but not the least in India, food forms an important integral part of wedding . At Indian weddings the food that is served is expected to be a lavish grand feast.. food counters can contain meals ranging from local regional cuisines to international cuisines from countries around the world.With massive globalization fusion cuisines have become the trend. People also have become extreme health conscious and aware of the healthy ingredients so special diet friendly health counters are required for those weight watchers who will otherwise end up returning in empty stomach from the wedding. Mr. Hugo Wang from Moon of Taj says ,”sweets and sweet as gifts contribute a lot to a grand wedding and cannot be avoided.With the increase in fitness and health awareness people want to find healthy ways to satisfy their sweet tooth”.Moon of Taj, deals with such healthy fusion and exotic sweets like pineapple fruit tarts,Mango fruits tarts and nougats. One thing that wasn’t discussed was living arrangements of the guests. Trust me it is extremely important to deal with almost simultaneously with booking your venue because if you don’t have staying arrangements in the wedding venue, then you will have to be expend as much energy as you expended in finding wedding venue, maybe more, for finding place for the guests to stay. Now-a-days, wedding planners are doing all the boring work leaving you to enjoy the best parts and the good news is they come in all budgets!